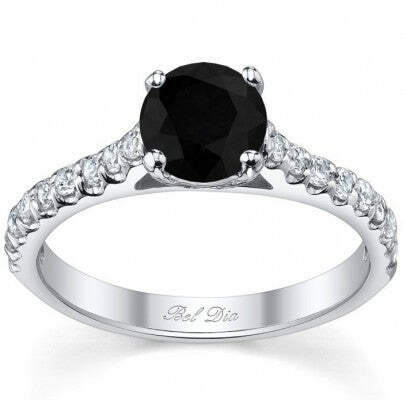 A black diamond engagement ring is perfect for a woman of rare and elegant taste. Although the diamond is the most popular choice for engagement rings in the modern world, it is not always the only the choice. Many women crave something more unique for their engagement ring–something that better represents their personality, ideals, and sense of style. Colored gemstones and black diamonds have therefore become quite popular, because of their beauty as well as their affordability. 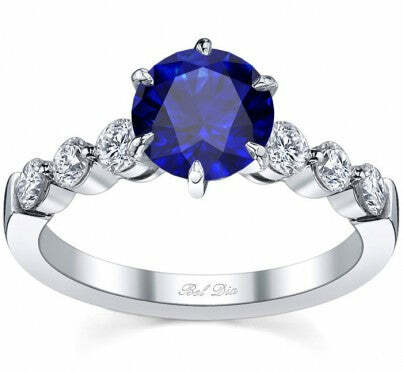 Our sapphire engagement ring settings include solitaire rings, pave rings, and halo rings. The quality of the center stone for an engagement ring is one of the most important factors when selecting a ring. Our GIA graduate gemologists hand-select every single gemstone and diamond to ensure that the color and cut maximize the beauty of the stone. The gemstones are of the highest quality (AAA). Each gemstone has a different meaning and connotation. To learn more about a gemstone’s signification, please visit our gemstone information page. 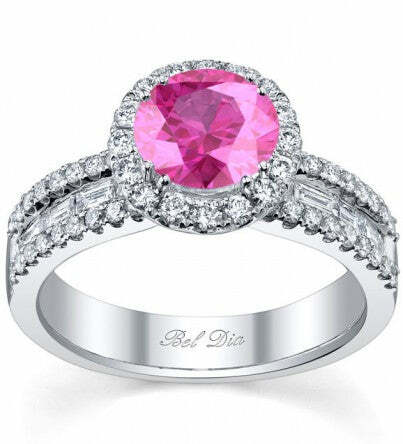 A pink sapphire engagement ring is stunning and perfect for a woman that loves pink or whose fiance was born in October. We currently offer a lovely selection of gemstone engagement rings. These include black diamond, blue sapphire, pink sapphire, and ruby engagement rings. Many couples have selected an engagement ring that features a birthstone of a month that is significant to the couple. For example, if a couple first met and had their first date in September, then a sapphire engagement ring would be perfect to celebrate this special month. There is no set of rules for engagement rings and the couple can choose any birthstone that they want. However, we do recommend gemstones that are durable enough for daily wear, such as sapphires, rubies, and black diamonds. Other gemstones are not quite as hard and will therefore become damaged more easily. With all engagement rings, gemstone or not, we recommend having the jewelry insured in case the ring because lost, stolen, or damaged. 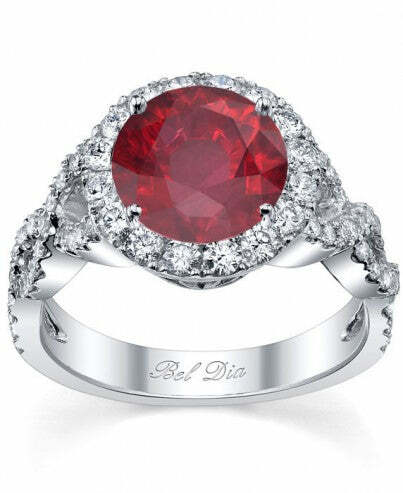 Many royal and celebrity couples are even choosing to wear engagement rings with a precious gemstone, such as a ruby. Which of these rings do you like the most? Do you agree with couples that are selecting gemstone engagement rings rather than the more traditional diamond engagement rings? Even celebrity couples, such as Mark Zuckerberg and college sweetheart Priscilla Chan, selected a ‘non-traditional’ ruby engagement ring, which has both been criticized and celebrated by the press. Our editors personally love all engagement rings as long as our customers are completely happy and satisfied.